In any list of the application you can select multiple entries for group operations. To select multiple elements, hold down Shift or Ctrl. 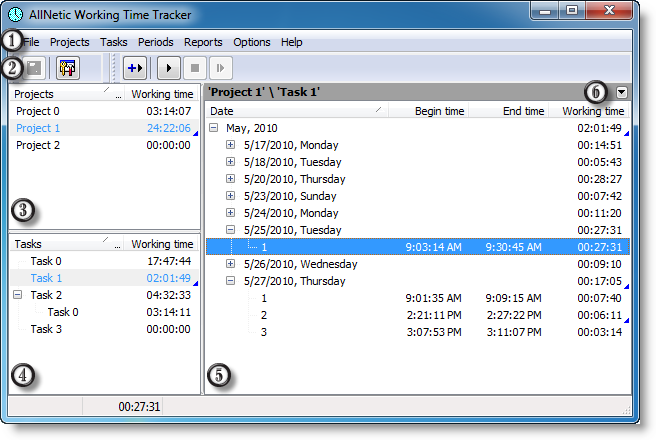 If several projects are selected, tasks of all selected projects will be displayed. If several tasks are selected, periods of all selected tasks will be displayed. Using the filtering panel, you can toggle displaying all periods of all tasks.